The chef and TV host accomplished the feat on his new series. He's a television star. He's got 16 Michelin Stars (yes, really?!?). And these days, even his kids are taking the food world by storm. 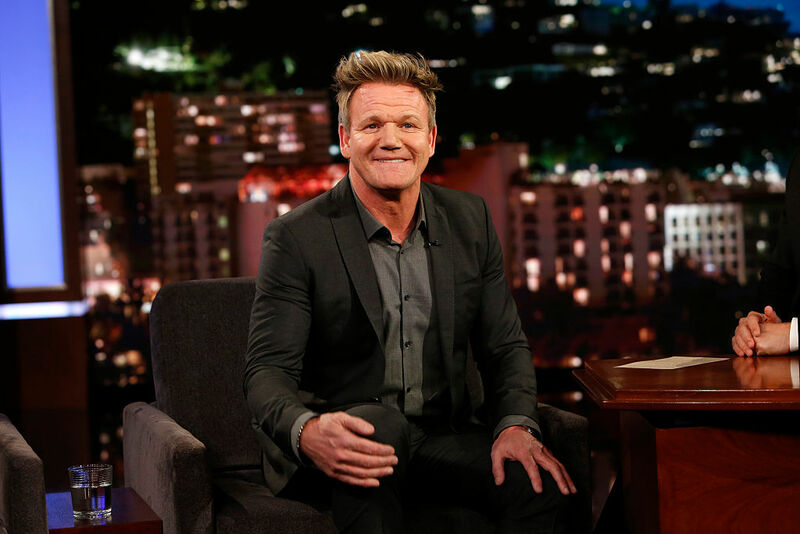 But it seems all of that just wasn't enough for Gordon Ramsay, who recently set out to add "Guinness World Record Holder" to his already-lengthy list of accomplishments...and then did just that. Now, he's also the fastest fish fillet-er in the world. It's true that the 50-year-old chef didn't choose to try and set the record solely for personal gain. The attempt was filmed as part of his new television show, The F Word, and it premiered as part of a segment in which Ramsay challenges fellow fish-lover Jenna Fabich to a "fillet-off" in front of two Guinness World Record judges. Fabich was a pretty tough opponent and a fine fillet-er in her own right; she's a 19-year-old from Arkansas who became YouTube-famous after videos of her fish filleting-skllls hit the web. Let's just say Ramsay wasn't exactly a shoo-in. Here's how it went down: Fabich and Ramsay were each asked to prep a whopping 15 portions of halibut, weighing 40 grams or more each, in under 2 minutes. Unfortunately, Fabich's nerves must have gotten the better of her, because she was only able to cut 13 usable pieces and got disqualified. That'd be a brilliant feat for any amateur fish fillet-er, but Fabich isn't exactly an amateur. And this is the world record we're talking about, people. Meanwhile, Chef Ramsay went on to fillet the required number of pieces. And he did it all in one minute and five seconds. With skills that amazing we were, admittedly, curious as to whether that was really Ramsay. Body double, perhaps? But right after he was named the winner, Ramsay told FoodBeast that he "had no idea I was going so fast, because I was just doing it normally." Apparently "normal" for Chef Ramsay is the world's fastest. Of course, now that this record is officially set, it's only a matter for time before someone comes along to break it. We're rooting for you, Jenna.